202 9th Avenue in the WEST CHELSEA neighborhood of Manhattan, New York. 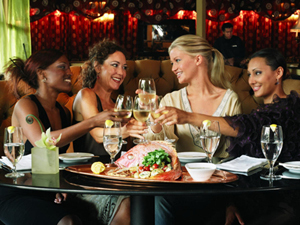 Fresh design and great bartenders guarantee the upbeat atmosphere with a chick dining room at the back. 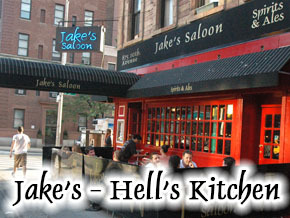 Our High Definition TVs showing all sports while our kitchen serves fine American cuisine 'til late hours here at Jake's. 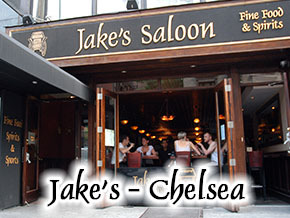 Jake's Saloon is also available for private and corporate events with special deals and offerings from 3 locations in Manhattan. For more information, please call us at (212) 337-3100.